With the evolution of technology, we saw watches turning into “smart+watches” and now to “smart+phone+watches.” This drastic growth has made smartwatches turn into your ultimate digital companion to make your day more productive. Initially, when smartwatch was first introduced, it felt more confusing and not worth the investment. But with the evolution of technology, today smartwatches can offer several essential features, from notifications to navigation. Anyways in this article, we have put together our choices of the Top 10 Chinese Smartwatches 2018 (Early)! In this list, we shall see smartwatches that are cheap and trendy, and also be your phone’s faithful companion. The DM365 is one of the cheapest and affordable smartwatches currently in the market. This watch provides support for Android 4.3, iOS 7.0 or above system, with good compatibility. It is equipped with Bluetooth 4.0 Connectivity which makes it compatible with all kinds of smartphones. It can answer and receive calls after pairing with phone’s Bluetooth. This device can be synchronized remotely when connected to an app through your smartphone. QQ / Micro message and SMS can be synced to your bracelet when the app is connected. Having difficulty in measuring the steps you have taken for a workout? DM365 will help you by displaying the time and steps clearly, enabling you to know your sports data right now, and gives you the estimation of your exercise throughout the day on your phone. Compared to other cheaper smartwatches models, this smartwatch can easily realize information to synchronize with your smartphone after pairing with Bluetooth, which makes it more convenient for users. You can take photos of the whole family by using Remote Capture hence avoiding the need for your selfie stick. Support for this feature only exists in Android devices. It can provide Remote Anti-lost and Anti-theft mechanism when the distance between your cell phone and the smart bracelet exceeds more than 10 meters; the bracelet will send out alarm sound. The watch is almost everything apart from lacking the HR sensor that is why it stands at number ten on the list of Top 10 Chinese Smartwatches 2018 (Early). The smartwatch monitors and tests your sleep quality and also reminds you to take breaks. It has a unique leather design which is adjustable, making it enable to fit your wrist perfectly. Nowadays, smartwatches are a lot more attractive than they used to be. This evolution of sheer design and technology has to lead a generation from just watches to smartwatches. They are your ultimate digital assistant. The Uwear UW80 smart watch is a mere example of this trend. For example, it can help you track your activities like a fitness band and at the same time keep you updated with regular SMS and other notifications like a personal assistant. UW80 features various sports modes tracking, including running, cycling, rope skipping, bungee jumping, rock climbing and a lot more. It has a 24-hour continuous heart rate monitor that automatically tracks your body condition and synchronize to the connected mobile phone. With Built-in GPS satellite positioning makes it far more accurate than your cell phone or other run tracking devices. When Bluetooth is paired, you can sync your data to your Android and iOS device, which gives a real-time report of your daily activities. Which is pretty impressive. The UW80 smartwatch tends to vibrate and display the data when a notification pops up. Also several third-party software (such as WhatsApp and QQ) notifications are also pushed to it. Which means the next time you’ll never miss any important message and always stay updated. Does it need anything else to make it at number 9 in the Top 10 Chinese Smartwatches 2018 (Early)? The Ourtime X200 smartwatch is an Android-wear with some good specs. Design wise the smartwatch looks elegant and minimal. It sports a stainless steel body and a thin bezel which is a common design adaptation by many new smartwatches that we can find in the market. The OurTime X200 has a 1.39” inch touchscreen display with a 400 x 400 resolution, offering super clear and sharp visibility. The display looks sharp even under sunlight. Like most of the other smartwatches, the Ourtime X200 is also an IP67 waterproof smartwatch. The smartwatch is powered by MTK6580 QuadCore 1.3 GHz processor; it runs on Android 5.1 OS with an 8GB of internal storage and 512MB of RAM. Even Though the performance is pretty average. The device also holds a 2.0 MP camera on the side of the smartwatch, which helps to capture and instant moments of life. The OurTime X200 is a smartwatch phone, as it supports nano-SIM compatible, which means it can function independently of a smartphone. The Finow X5 is more of a ‘smartphone watch’ than ‘smartwatch’ and can be used independently without your phone to be online and even make calls or even text using a very small and fiddly keypad. The device has a Nano-SIM card compatibility. The X5 also has Wi-Fi connectivity, which you can use to browse the web. To pair the Finow X5 with a smartphone, you will require the Watch Helper app, which acts as a tool to configure your notifications toggle for every supported application and it is also used to push music and photos from watch to phone and vice versa. The notifications are sublimed on the first popup. Which means you can see only the message subject line of that particular notification. An exclusive business designed watch and smartness inside it ranks it at number 7 on our list of Top 10 Chinese Smartwatches 2018 (Early). Another problem is that the X5 would lose the Bluetooth connection if it had been idle for a while. Which is mainly a feature to help battery life. Even Though the reconnection is a tedious process. The limited features that this smartwatch offers is particularly a shame when compared to how well the smartphone is made with such a great design. Talking about the design placements, there’s a visible thick black border between the display and the bezel and crown. The X5 is pretty is average spec smartwatch with a very good design choice. Buy FINOW X5 AIR 3G Smartwatch Phone on Gearbest For the Best Price Ever! The ZGPAX S99C 3G smartwatch phone sports a 1.39-inch screen with 400 x 400 resolution of capacitive touchscreen. The device is powered by an MTK6580 processor which offers lag-free experience. The design of the smartwatch phone is relative to the rugged watch style with a circular dial made up of metal. On the one side, you have a mic that helps you to make calls with your watch. Which is made completely possible with the help of single nano sim support with 3G connectivity. For instance, the device has a MediaTek MT6580 clocked at 1.0 GHz and with 1GB of RAM Memory. Further, the device has a huge internal storage of 16GB letting you install apps that you may need. The best part of the ZGPAX S99C is its crystal clear display, which is 1.39 inch in size and 400 x 400 of screen resolution! Yes, this watch is serious about the display which is the ultimate goal of a smartwatch user. As it is mostly projected under sunlight. Which means if the display is below average, then there is no point in investing in the smartwatch. But that’s not the case with ZGPAX S99C. Furthermore, you get 3G connectivity, Bluetooth 4.0 Streaming Technology and inbuilt GPS for everything health! The first thing that comes to mind when you decide to buy any product: “high-price means premium”. This myth is completely transformed to shattered dreams by many well known Chinese brands. Zeblaze is one among them. It is a well-reputed industry known for its premium smartwatch and accessories line, but with a genuine price tag. One of their main product is Zeblaze THOR which is remarkably cheap for the build quality and the specifications it offers. This smartwatch has an AMOLED display with 400×400 resolution with a Corning Gorilla 3 glass casing making it scratch resistant. The Zeblaze Thor 3G can work independently of a smartphone with the support of a nano-SIM card. So it’s more like a smaller version of your phone but on your wrist. It is powered by Android OS(5.1) with several helpful apps, enriching your daily experience. It has a 2MP camera which can be used for recording videos or taking pictures. The device can last long as it sustains 10 hours with the help of an embedded 350mAh battery. 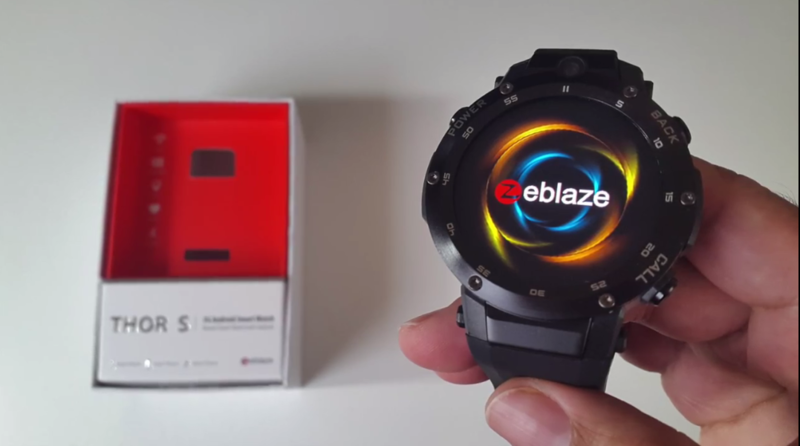 The Zeblaze Thor 3G Smartwatch acts more like a smartphone than a smartwatch. You simply can’t resist this watch as you now know how good is this smartwatch. Diggro is a Chinese brand with all of their smart wears are majorly focusing on an ultimate aim to help you maintain a healthy life. Diggro DI06 3G smartwatch is an excellent healthy life partner. It’s not only a simple watch but also a phone that can independently function and also capture your moments with its inbuilt 2MP camera. Hey! It doesn’t stop there; it also helps to navigate you to your workspace or maybe to a nearby restaurant with the help of GPS and a Map client. After inserting the SIM card, you can call or directly reject call through the watch. Built on the Android 5.1 OS with thousands of apps from play store, you can enrich your watch with several essential utilities! It has amazing craftsmanship and elegant design that goes well with both formal or any usual occasion. All in all, Diggro DI06 is a great choice if you’re looking for a great digital companion along with a stylish persona! The LEM5 pro comes with 1.3 inch IPS screen that casts a 400 x 400 screen resolution. The watch is compatible with Android as well as iOS. The watch has three physical buttons on the side that also includes the watch crown. Honestly, I’m a fan of the design; it looks classy with the bare stainless steel. The device is IP55 waterproof but is not sustainable for deep sea diving. The LEM5 pro is moderately standard regarding its specification as smart watches go. It runs Android 7.1.2, powered by 1.3GHz MediaTek MTK6580 Quad Core processor and has 2GB RAM and 16GB internal storage. The device accepts a Nano-SIM but unfortunately doesn’t support 4G connective(restricted with 3G). Also, the device is embedded with Bluetooth 4.0 streaming technology. The basic fitness features that the watch holds are the pedometer, heart rate monitor, and an inbuilt GPS to keep track of your workouts. And not only that, but the GPS tracker also helps to locate your position by projecting an onscreen map. The Lemfo Lem5 is a Goto assistant that can keep you updated with daily activities and tasks, just to make it a lot easier for you to handle. The Zeblaze THOR S smartwatch is built for outdoor with a taste of sporty ruggedness and stainless steel body. The device features a 1.39inch display with 400×400 resolution and also protected by a corning gorilla glass 3 to offer scratch resistance. The device is embedded with a 350 mAh battery which offers 48 hours of impressive standby time. Under the hood, the Zeblaze Thor S is powered by MTK6580, 1.3GHz, Quad Core with 16GB of memory and 1GB of RAM. The device also can work independently of a smartphone with the help of a nano-SIM, and it is also powered by Bluetooth 4.0 technology for a sturdy and a nondisruptive connection. The device has inbuilt GPS like most of the smartwatches, as to satisfy the ideal need of tracking workouts and calories for providing a health track. The other worth mentioning features include heart rate monitor, pedometer, and even a calorie counter. Zeblaze moto is to provide super high-quality smart wears that can easily keep pace with several big players like Apple and Samsung that easily costs thrice as Zerblaze product. Putting all this into the count, the Zeblaze THOR S is one hell of a smartwatch that easily grabs the first position on my list. Buy Zeblaze THOR S 3G Smartwatch Phone on Gearbest For the Best Price Ever! The AMAZFIT Running Smart Watch is a great choice for those looking to get fit. The Xiaomi Huami AMAZFIT features a built-in GPS, as to provide an accurate pace and distance covered in your runs. It sports a stupendous battery life of 11 days for simple use (up to 5 days for average use and 35 hours with continuous heart-rate and GPS tracking). Stay fit and healthy with the AMAZFIT. The device helps you to maximize every workout and every day. 24-hour continuous heart rate monitor keeps track of your body condition and directly sends the data to your smartphone. It doesn’t stop there, the device also makes a track of your calories burnt, the pace of your workout and the distance covered in your every run. The Huami’s algorithm can use the built-in GPS, to attain a great deal of accuracy. On which helps you to rely on the produced data. If you want to have notifications and super accurate fitness records, then the AMAZFIT is a good value for money. The watch features smart notifications and vibration alerts for incoming calls, emails and what more! It also keeps track of your time invested in healthy sleep. Design of Xiaomi Huami Amazfit! AMAZFIT is a model designed with ceramic bezel which makes it resistant to scratch. Personally, I feel the Xiaomi Huami Amazfit is genuinely a beautifully crafted device. The rounded edges give an exclusive look to the device. The always-on display allows reading easily even under bright sunlight. But unfortunately, there is no double tap to wake, which means the hardware keys have to be used to light up the screen, in case it goes to sleep. The device is also guarded with IP67 waterproof, and dust resistant. With advanced technology in a clever design, this elegant device has everything that you need to reach your goals. A watch with every feature you ever wanted in a smartwatch is what we wanted to be at number one of our list of Top 10 Chinese Smartwatches 2018 (Early) and this is the watch! We hope that you love our list of the Top 10 Chinese Smartwatches 2018 (Early). Have we missed any good smartwatch worthy of adding in the list of Top 10 Chinese Smartwatches 2018 (Early)? Let us know by commenting.